We're used to tangles in our hair, jewelry, and any kind of rope, but did you also know we get tangles in our recycling facilities? These tangles are much larger and caused by tanglers such as rope, electrical cords, hoses, and holiday lights incorrectly placed in recycling bins. These items become tangled around recycling facility equipment, causing expensive machinery to breakdown and putting workers in danger. A single tangler can cause a massive disruption, and recycling facilities see a significant amount of them each day. Garden hoses are troublesome enough to rank in the top five most problematic contaminants and the third most expensive contaminant to a recycling facility. 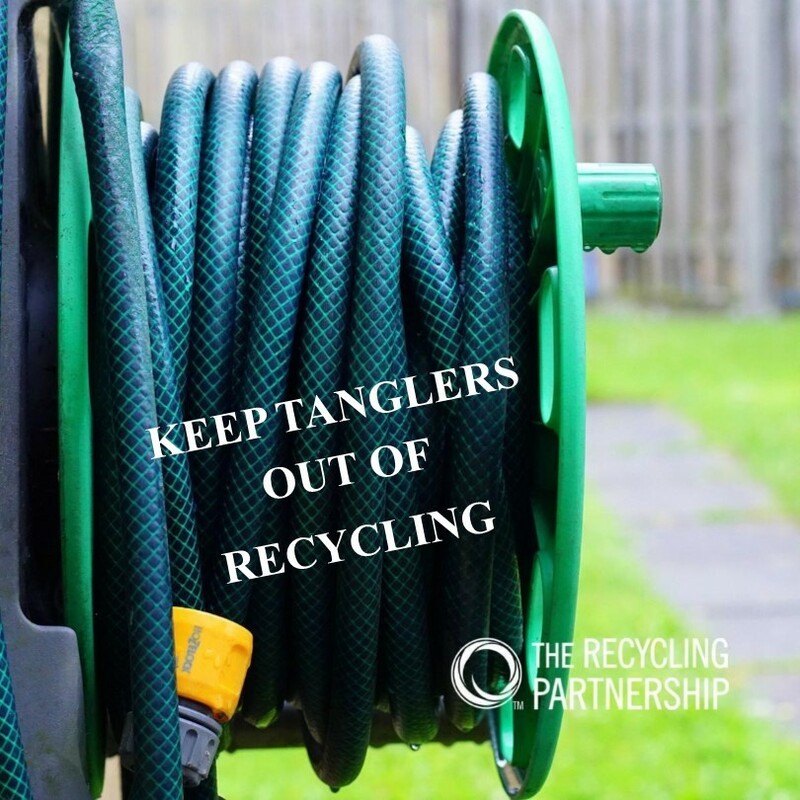 Help keep workers safe and recyclables valuable by keeping tanglers out of your recycling bin and into the garbage if they can not be repaired or used for another purpose.